Anyone remember when you were little and you played all day outside, ran around like a fool, got all dirty, climbed trees, threw sticks, chased your friends, maybe went to the pool for a few hours, and then, once you were home and ate dinner and *maybe* took a bath or shower, you were so tired you could barely keep your eyes open? Anyone remember stories your parents have told you about how funny you were as a child because you’d play and play and exhaust yourself to the point of falling asleep in the middle of your Legos on the floor? And who can forget the times riding in the car, on the way home from the park or the pool, or especially a longer trip to Grandma’s or something, and falling asleep in the back seat? If you have kids, you have longed for those moments. I know I have. My daughter will be 9 this summer, and while falling asleep in the car has happened, it’s been a while, and now we’re at the point where pretty much no matter what’s happened throughout the day, or what time of night it might be when I finally cave in and force the “go to bed” issue, she cannot/will not fall asleep. She whines about it, sometimes I get frustrated by it, but I also feel bad for her. We get up pretty early on weekdays, even in Summer, and I know she’s tired. I’ve heard about a natural supplement called Melatonin being used to help regulate sleep, but we’ve not tried it yet- I’m still a bit of a procrastinator (see previous posts, and I’ll say more about that later, I’m sure.) What do you recommend? Well, good thing this isn’t a blog, because my latest experiment to rekindle my writing has flopped, again. Big surprise. I just need to make more time for it and/or decide what it is I want to write here. I spend all day talking to coworkers, clients, bosses, and on my Dad weeks my daughter, and when I’m alone and might have or make time to write, the only things I’m thinking of are venom, bile, and complaints! I’ve gone back and forth in the past over whether I should put them down here or not, and I’m still not sure it’s what I want to do. I’m not saying my life is garbage or anything, I just have issues, LOL. My life is actually pretty decent, but I do find myself easily irritated. Not necessarily quick to anger, which may have been the case earlier in my adult years, but just very irritable, and when I hold it in it only gets worse. I go to the gym frequently, which helps, and I take meds for my borderline high blood pressure, which I know doesn’t hurt. What then, do I see as the purpose of my writing, here or otherwise? I’ve always thought I’d like to write a book, but if all my writing is in the vein of cathartic (hopefully) ranting, what would a book be about? Who would want to read it? I do enjoy writing and in teh absence of a therapist, this is where I get out a lot of the darker things bouncing around in my head. If you’re reading, thanks, and if you stick around perhaps you’ll see different things here besides a grumpy, aging man, lol. 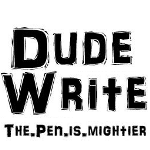 It’s a place for guys to share their blogging about guy stuff and yes, compete with each other! Because guys like to compete. But yes, I think it’s definitely worth following along to see what happens. I may even be over there sometimes, if I think I have a post that’s worthy. Anyway, I’ve also been (back) in touch with a good friend who, it turns out, is also a fledgling blogger, and we may end up collaborating on something. Sounds great to me and I’m looking forward to seeing what pans out. That’s all for now, don’t want to burn myself out right at the start! Not making any promises, but I’m not going to limit myself to one post per day this time. If I find something or thing of something worth mentioning here, I plan to. It could be anything. ANYTHING. See, left you with that little hook, take the bait, you know you want to.